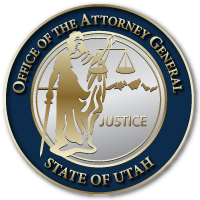 SALT LAKE CITY September 19, 2017 – Today, Utah Attorney General Sean Reyes announced that a bipartisan coalition of state attorneys general are seeking documents and information from manufacturers and distributors of prescription opioids. This information will enable the attorneys general to evaluate whether these businesses are engaged in unlawful practices in the marketing, sale, and distribution of opioids. 41 attorneys general from U.S. states and territories are participating in the investigation. This action is the latest in Utah’s multifaceted effort to end the current opioid addiction crisis. The attorneys general served investigative subpoenas for documents and information, also known as Civil Investigative Demands, on Endo, Janssen, Teva/Cephalon, Allergan, and their related entities, as well as a supplemental Civil Investigative Demand on Purdue Pharma. Likewise, the attorneys general sent information demand letters to opioid distributors AmerisourceBergen, Cardinal Health, and McKesson requesting documents about their opioid distribution business. The attorneys general seek to determine what role the opioid manufacturers and distributors may have played in creating or prolonging this epidemic and determine the appropriate course of action to help resolve this crisis. As with any case, the entities involved in the investigation are not guilty unless proven otherwise and deserve a presumption of innocence. Some of the companies have indicated their intent to cooperate. A few have proactively implemented programs to combat opioid addiction and illicit sale and abuse of opioids. Nationwide and in Utah, opioids—prescription and illicit—are the main driver of drug overdose deaths. According to the Centers for Disease Control and Prevention, opioids were involved in 33,091 deaths in 2015, including 646 in Utah. Nationwide, opioid overdoses have quadrupled since 1999. A 9/18/17 letter to insurers, co-authored by Attorney General Reyes, that requests health insurance companies examine policies and financial incentives that may contribute to the opioid epidemic. The letter and AG Reyes’ statement on that action is available here. Utah Department of Health efforts, which include Controlled Substance Database analysis, prescriber education and guidelines, and public awareness on the risks of overdose and addictions. The statewide Utah Coalition for Opioid Overdose Prevention. The DEA-AG Joint Opioid Task Force, co-chaired by DEA Agent Brian Besser and AG Sean Reyes, which focuses on intelligence gathering, dedicated criminal prosecution, and criminal enforcement. Support for the Road to Recovery Act, proposed federal legislation that would eliminate a restriction on using Medicaid funding for in-patient drug treatment. Partnerships with multiple community organizations on addiction, recovery, and prevention.